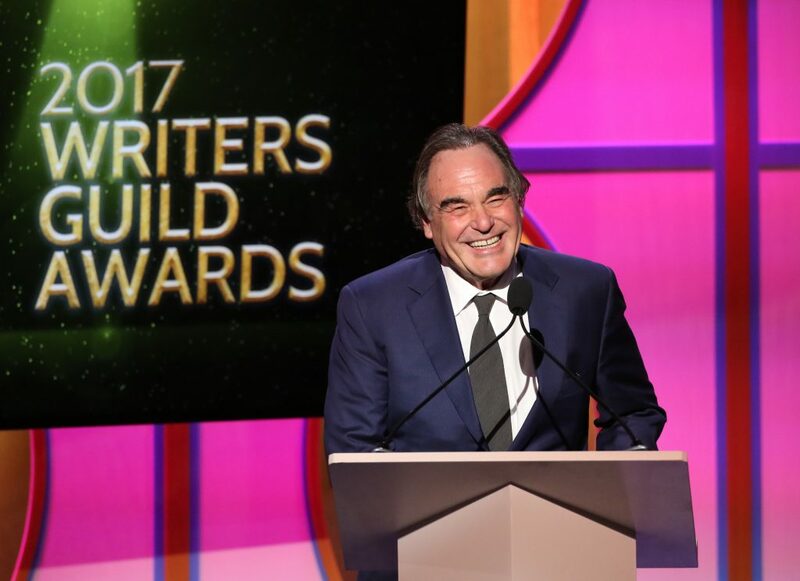 Washington, D.C. — Hollywood icon Oliver Stone has endorsed the Labor-Community Campaign for an Independent Party, the first large-scale initiative to build a political party that unites labor and the left since the 1990’s. Launched in the fall of 2018, the campaign has grown to 14 unions and organizations representing more than 100,000 members, plus AFL-CIO executive council members, union presidents, and progressive luminaries. Oliver Stone joins Dr. Cornel West, Chris Hedges, Abby Martin and dozens of other thought leaders supporting the campaign. The three-time Oscar winning writer and director has produced American classics such as Platoon, Wall Street, JFK, Born on the Fourth of July, and the Untold History of the United States. His films have won a remarkable 22 Golden Globes and 14 Academy Awards, making him one of the most celebrated filmmakers of all time. Stone was deployed to fight in the Vietnam War at the age of 21. He returned with a Bronze Star, a Purple Heart, and memories that have driven a lifetime of thought-provoking work that questions the justness of American empire. “In the 13 wars we’ve started, and the $14 trillion we’ve spent, and the hundreds of thousands of lives that have perished from this Earth in the last 30 years—remember that it wasn’t one leader, but a system, both Republican and Democrat… In the end, it has become a system leading to the death of this planet and the extinction of us all,” Stone wrote in The Nation in 2017. The past three weeks have been a stark reminder that the Democratic and Republican parties do not speak for working people. Nancy Pelosi was reelected as Speaker of the House, with the support of every newly-elected progressive Democrat. The party reduced the much-anticipated Green New Deal Committee to a public relations stunt, stripping it of the power to pass bills or subpoena speakers and packing it with Democrats who take fossil fuel money. The handful of freshmen progressives voted to dismantle their own agendas by supporting PayGo on their first day in Congress. All but three House Democrats voted in favor of the PayGo rules package that makes progressive legislation including Medicare for all, free public college, and a federal jobs guarantee impossible to pass. These actions reveal that, as Stone says, the problems with the establishment parties are systemic. Working people cannot revolutionize the country by electing progressives into a Democratic machine that quickly absorbs them, and has for decades. It will take a new party, free of corrupting corporate influence, to deliver the wholesale systemic change that working people need. That is why a majority of Americans are calling for one and that is why we are building it.